Sandy City (United States) (AFP) - Reigning Olympic football gold medallists Mexico punched their ticket to the Rio Games on Saturday, advancing along with Honduras with semi-final wins in the regional qualifying tournament. Goals from Hirving Lozano and Erick Torres lifted Mexico to a 2-0 victory over Canada at Rio Tinto Stadium. 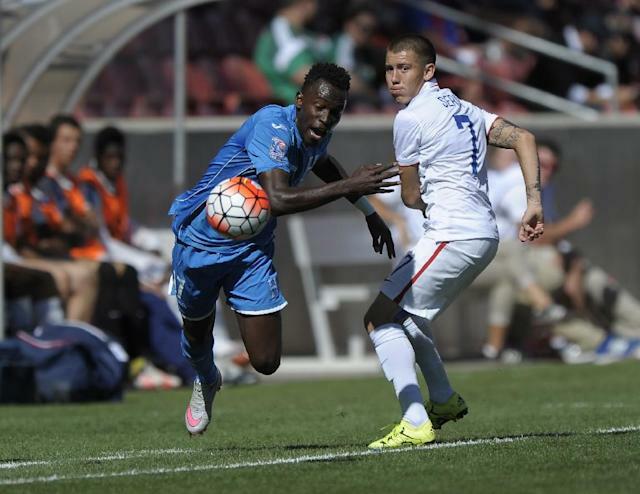 Alberth Elis, 19, was the hero for Honduras' under-23 team, with a goal in each half in a 2-0 victory over the United States. Both finalists in the North and Central America and Caribbean (CONCACAF) regional tournament gain direct entry to the 2016 Rio Games. Mexico were in full control as they assured themselves of a chance to defend the title they won in London. Torres opened the scoring in the sixth minute, heading in a cross from Lozano. Lozano doubled the lead in the 57th, taking advantage of a poor defensive effort by Canada's Sam Piette and firing into the top left corner of Canadian keeper Portero Maxime Crepeau's net. Mexico and Honduras -- who qualified for their third straight Olympics -- will play for the tournament title on Tuesday, when the United States and Canada will battle to keep the Olympic dream alive. The winners of the third-place match will take on Colombia in March for an Olympic berth. The US under-23s, coached by former Austrian international Andreas Herzog, are trying to return to the Olympic men's football tournament for the first time since 2008.